Frame is 1 1/4" wide and 1" deep. 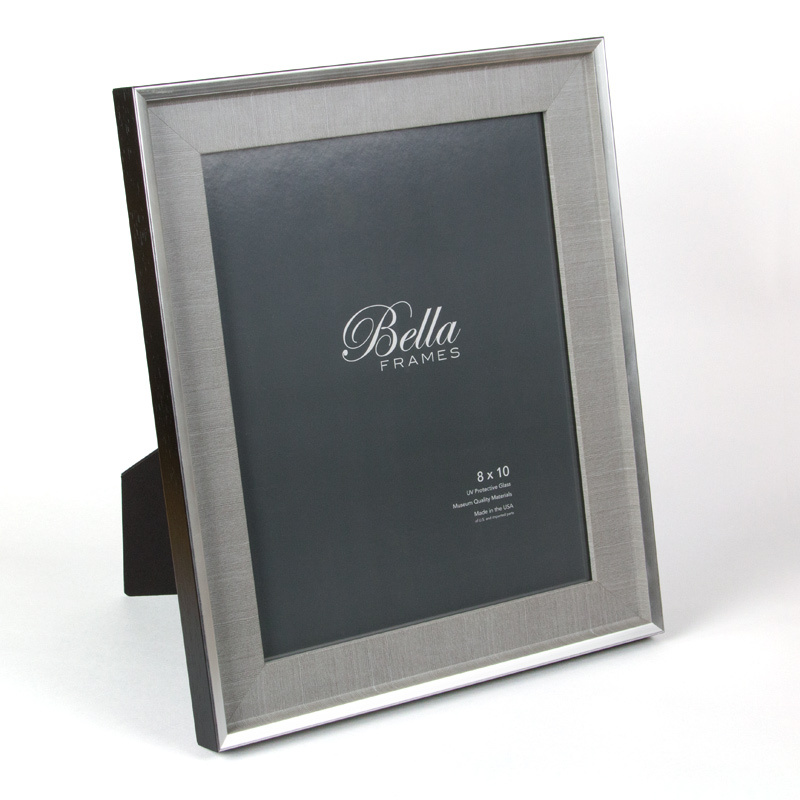 - Bella picture frames include U.V. filtering glass, can hang on a wall and have easels for table top display horizontally or vertically. Available in 4x6", 5x7" and 8x10" sizes.